Flawless and beautiful, this preppy chic celebration took place at the Port Royal Club in sunny Florida. Their vision to have a traditional wedding turned out gorgeous in shades of ocean blue and white. 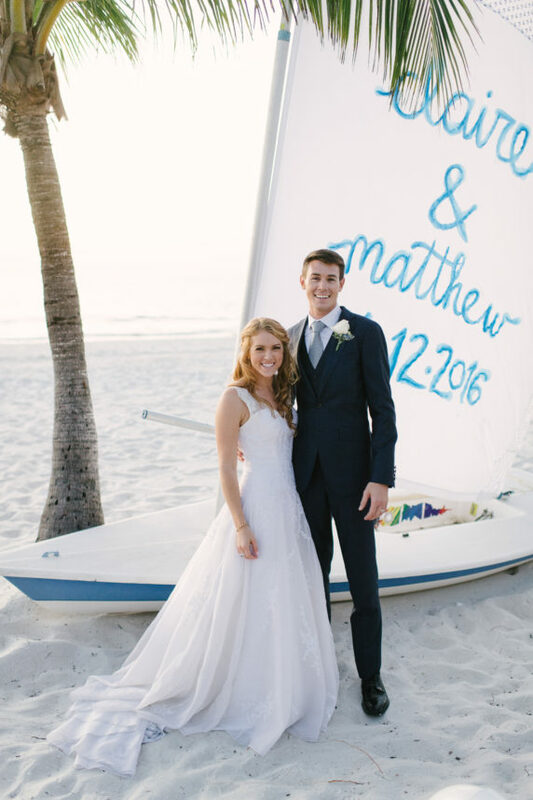 They even had a sailboat personalized with their name and wedding date. How cute is that? !